This Pink Bentley Limo is a favorite with both the Girls & the Guys! This 12 Passenger limo has Black Ostrich and Pink interior throughout. 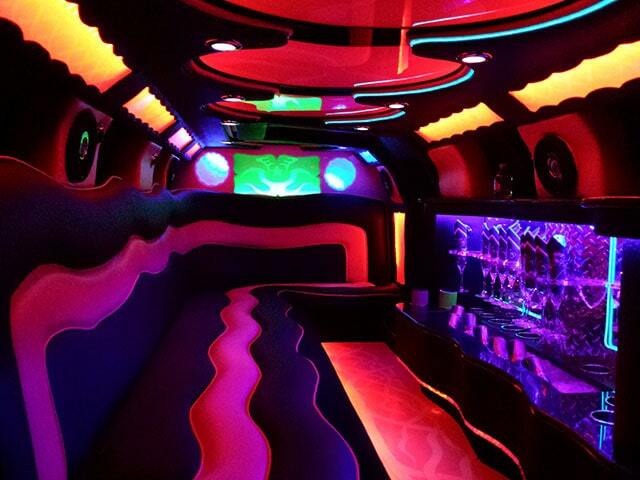 Along with the awesome Color Wash Lighting and Strobes inside, this Limo is unmatched for an awesome time for your party. It comes equipped with a large Ice Bar for your party. Electronics include a 5,000 watt stereo system, DVD Player, and iPod connections. It’s perfect for Bachelorette Parties, Birthdays, Sweet Sixteen, or a Girls-Night-Out but the guys seem to like this Pink Limo Beauty as well. The exterior of this Limo is “Pink” of course with 20″ Chrome Wheels for that classy style. No matter what the occasion, you will arrive in style with this one-of-a-kind Limousine. Rent the Pink Bentley Limo Now!